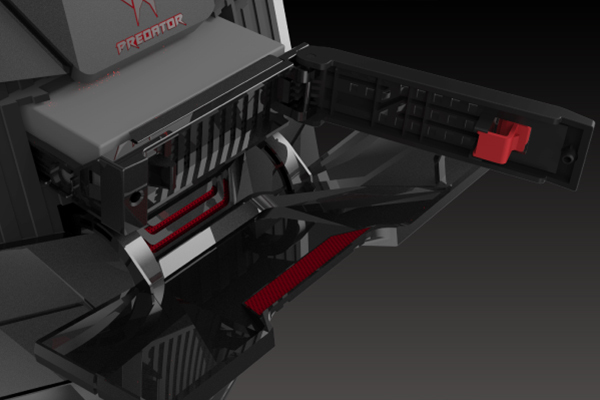 Refitted with the latest tech and ready for a fight – the Predator G6 has one sole purpose. Victory unending. Power lives within – ready and waiting. 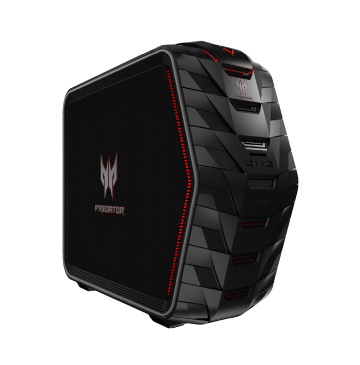 Fused with an overclockable Intel® Core® i7 7700K1 processor, gaming’s met its match. 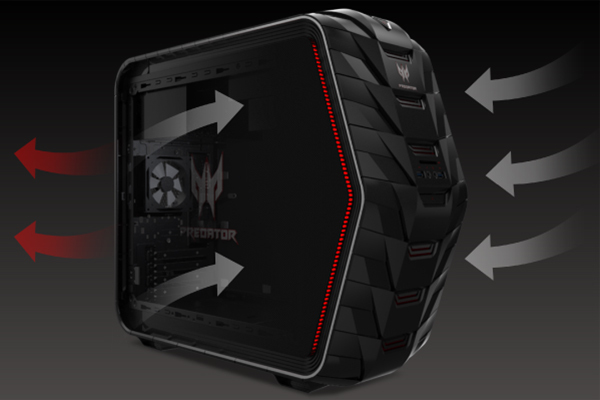 Gaming is hot, so stay cool with IceTunnel cooling system. 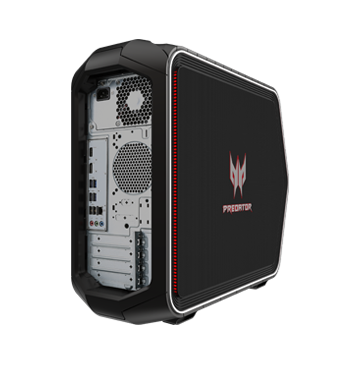 Multiple air intake zones on the front and left side of the machine create a powerful airflow that efficiently pushes out hot internal air. Intel® Optane™ Memory. 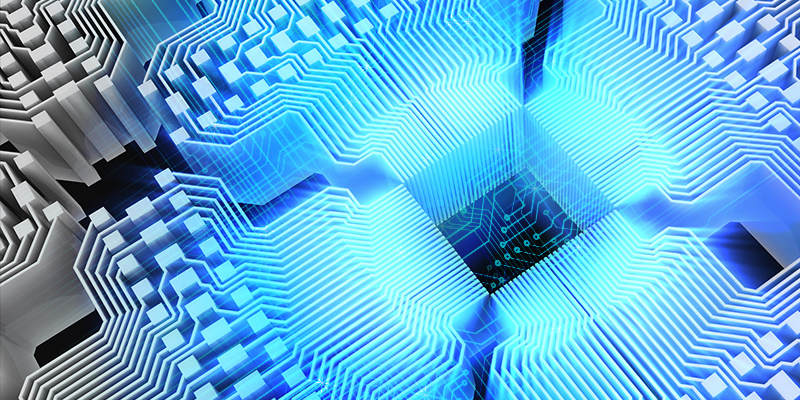 Its purpose is fairly clear – to bridge communication between DRAM and storage. We don’t know about you, but extra efficiency sounds good to us. Wield weapons of epic proportion in the form of NVIDIA® GeForce® GTX 1080Ti1 graphics and watch your frames rise before you2. 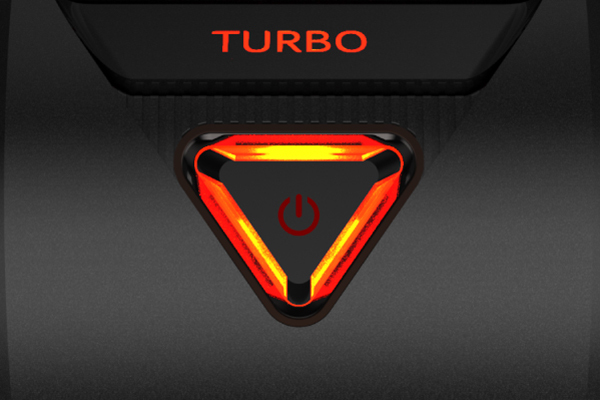 When you enter turbo mode, the Growl Lights come to life, providing an aggressive red accent on both sides of the case. Easy-swap expansion bay, accessible ports and a headset cradle are ready at a moment’s notice. 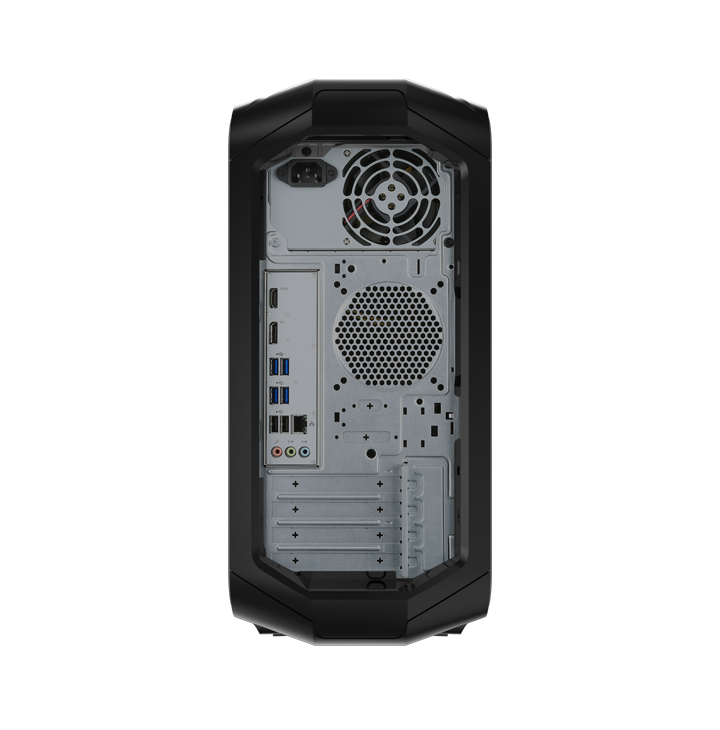 The armor-inspired casing houses all the ports you need for the devices you know and love. With Killer DoubleShotTM Pro technology, choose which applications take up that essential bandwidth. Is your game library as big as ours? Easy-Swap expansion bay lets you switch drives without a hassle. 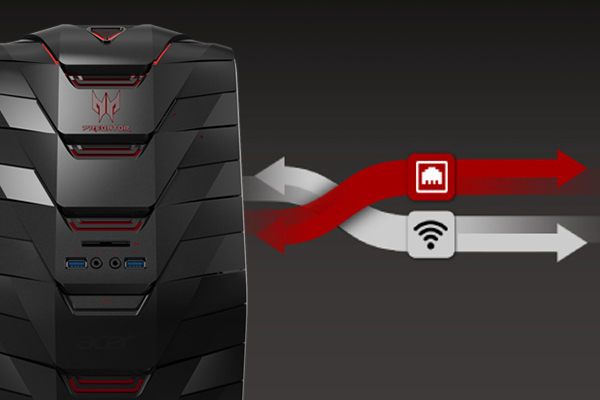 With Killer DoubleShotTM Pro technology, you can split your internet requirements over wired and wireless connections simultaneously to distribute your bandwidth where it’s needed most. 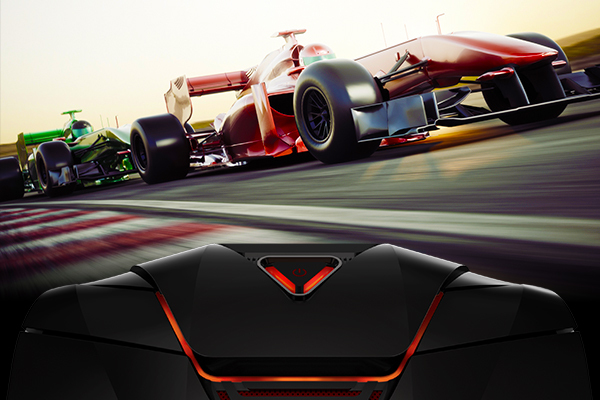 SoundBlaster X-Fi MB5 immerses you in its glorious audio, amplifying what you hear – because, when gaming – every sound counts. 1. 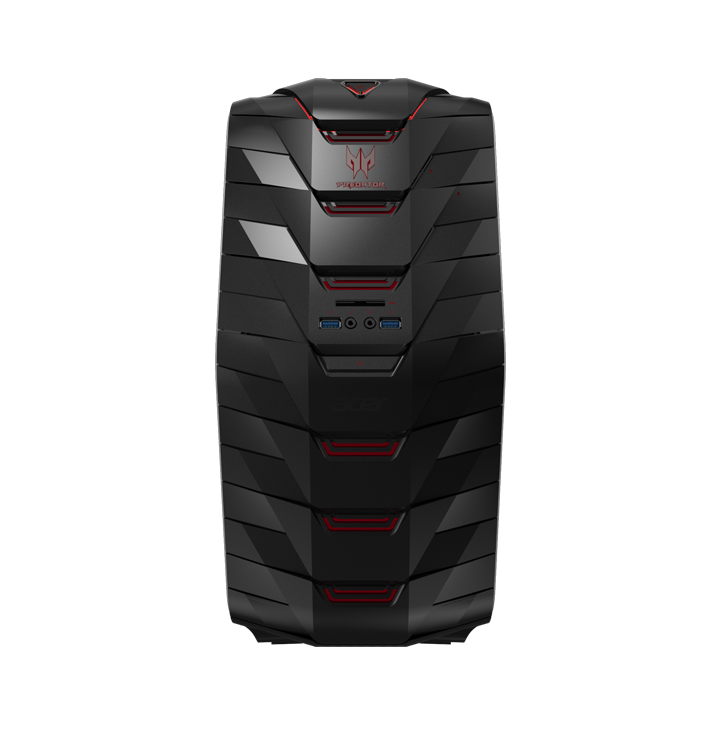 Specifications vary depending on region and model.